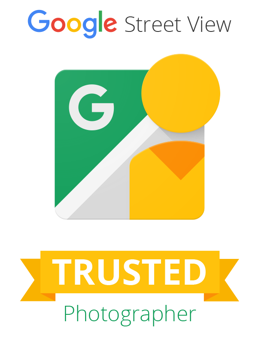 Certified by Google as a Trusted Independent Photographer for Street View. Trident Global Imaging’s compelling visual products speak to mankind’s fundamental need to explore. Our expertise lies in our extensive imaging experience, our understanding of the technology required to reliably capture and deliver virtual tours, and our understanding of the needs of businesses to uniquely engage their customers. What further distinguishes TGI is our ability to produce 360° spherical images of locations most companies won’t attempt to access - in the air, in low-light conditions, and underwater. Our vision is to professionally capture what we see in 360-degree spherical “you are there” images, so that you can visually share your business with people online around the globe. We utilize innovative technology and cutting edge photography techniques to produce engaging spherical images and virtual tours for commerce, exploration, education, and adventure. Our products are perfect tools for business owners who are proud of what they’ve built and want to share their business with existing customers while generating new customers by providing moments of discovery and entertainment via online virtual tours that help clients satisfy their curiosity and tap into their inner explorer.